This pub is vastly underestimated, a warm welcome,very high standards of beer quality and choice.A Kerrang pub most evenings. A lovely place where the temptation is to sit on a sofa and not move for the rest of the day.With the nearby Globe Hotel the best pubs in Weymouth. Now we are heading towards the autumn, Mondays, and Tuesdays, down at the Duke are quiet. On the first Monday of every month there is a cheese night, anyone is welcome to join in so long as they turn up with some rare pieces of cheese. Wednesday night there are a few more people. Thursday night there are a lot more people. Friday and Saturday nights it is like the Black Hole of Calcutta. Sunday afternoon quite a few people come especially if there is sport on the TV. Popped in while waiting for a curry. Several punters were totally out of it but the pub did not seem threatening. Beer was well kept and staff were good. 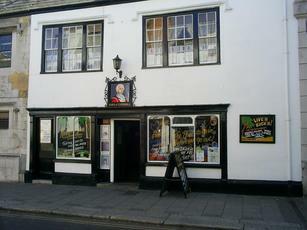 The Duke of Cornwall was another Weymouth pub that exceeded my expectations. This pub seemed to have a slightly more edgy feel than the Red Lion or the Globe. But it's another small pub which had dance music playing and boxing on the TV. The clientele was mixed. 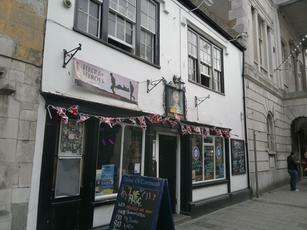 Ales were Cotleigh Nutcracker Mild, Town Mill Granny's Teeth & Dartmoor Jail Ale. Ciders were Shepton Mallet Cider Mill Somerset Tree Shaker & Addlestones. Worth a visit. Visiting Weymouth this weekend and was rushing around to find a decent pub with BT Sports so I could watch a particular footie match. A couple we'd been in the day before were just OK. Thankfully we found this place. Really nice locals, and bar staff, and good ale and cider range. Will be back.